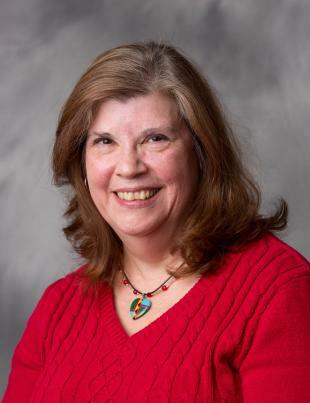 Ellen Jacobs has been in private practice since 1988, providing individual, family and group therapy for children and adults with a specialization in mood and anxiety disorders. Prior to that, she provided assessments, diagnosis and treatment at a community counseling center in Ashtabula County and was a social worker at Massillon State Hospital. She has also served as an instructor for Kent State University. An avid community volunteer, she is a member of the Board of Directors for the Ashtabula County Choral Music Society, previously serving on the Board of Directors for Community Action Agency and as both a hotline phone volunteer and battered women's advocate for community crisis centers. She earned her bachelor's degree in psychology from Walsh College and her master's degree in social work from the Ohio State University, has completed substance abuse counselor training at Maryhaven Treatment Center, and has participated in numerous continuing education workshops on dialectical behavioral therapy (DBT) and psychotherapy for children and adults. Her specialty areas of interest include Attention Deficit-Hyperactivity Disorder (ADHD), eating disorders, parenting issues, play therapy, post-traumatic stress disorder (PTSD) and hypnotherapy.